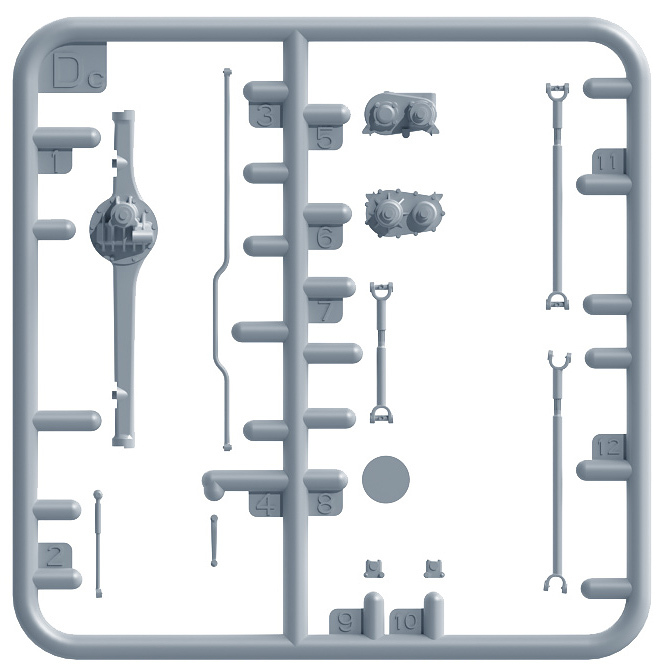 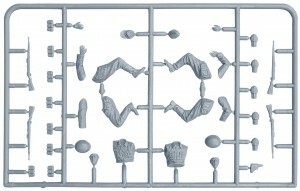 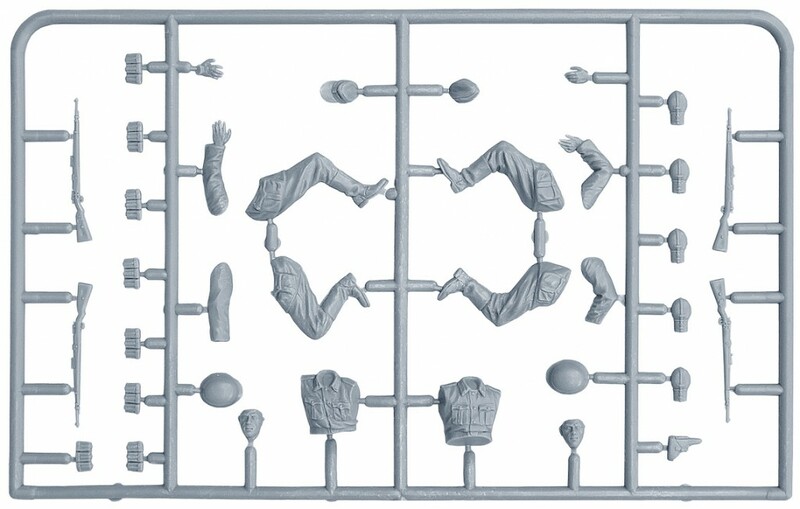 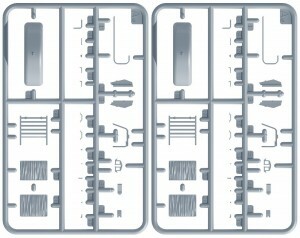 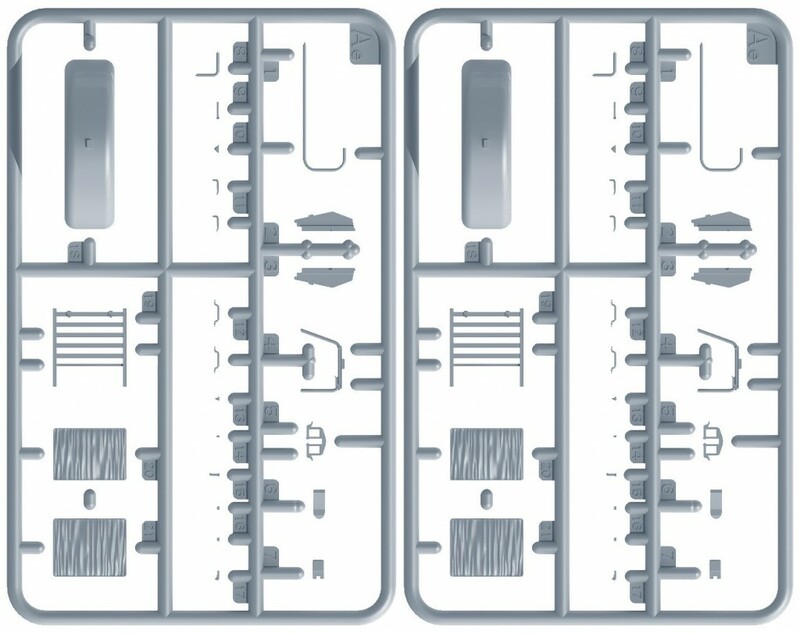 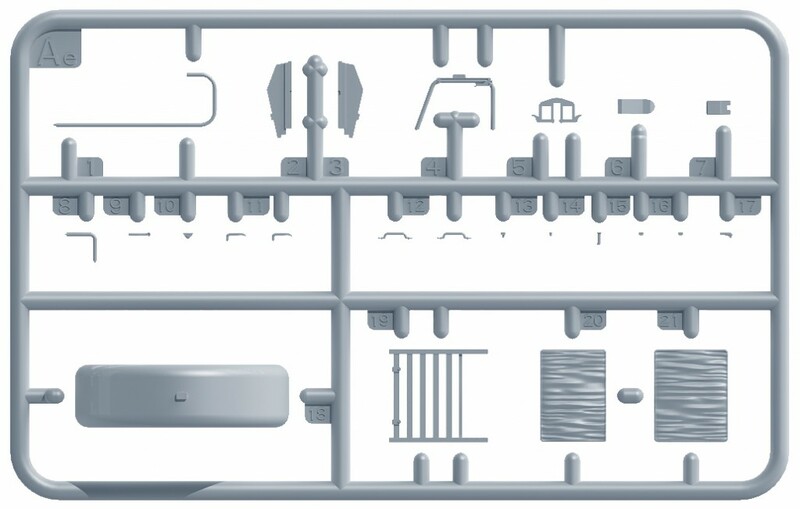 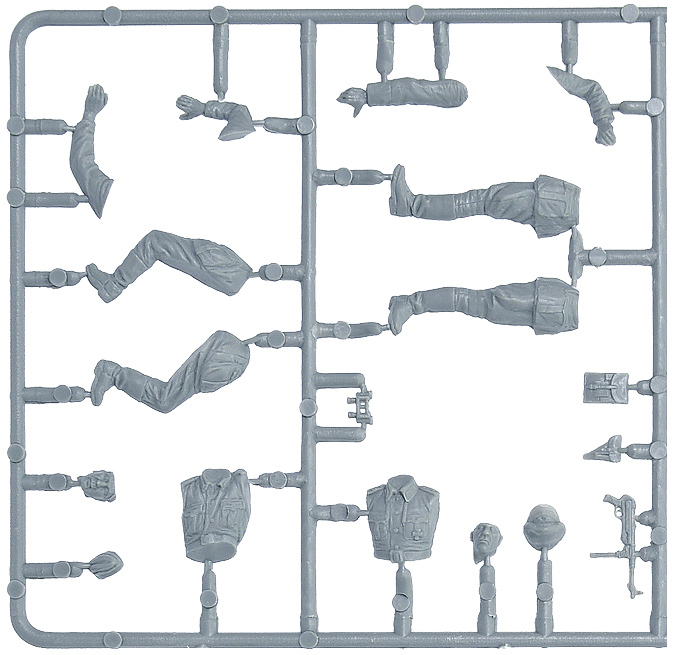 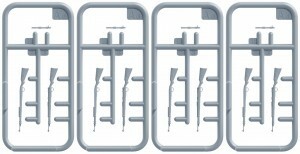 Set includes model of a cargo truck and 6 figures. 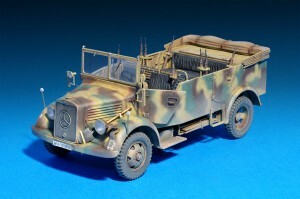 L1500 A 4×4 and L1500 S 4×2 trucks were developed by Mercedes-Benz Company in 1941. 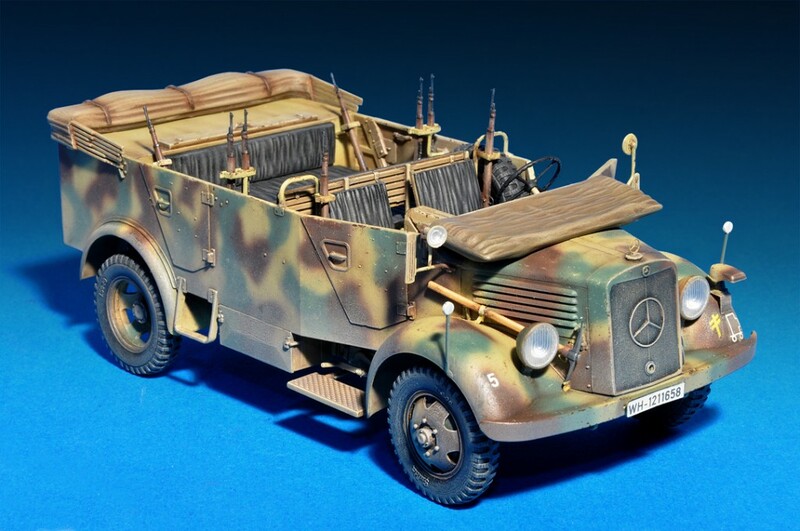 The vehicle was classified same as Steyr 1500A and Horch Typ. 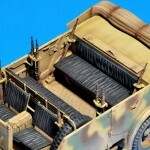 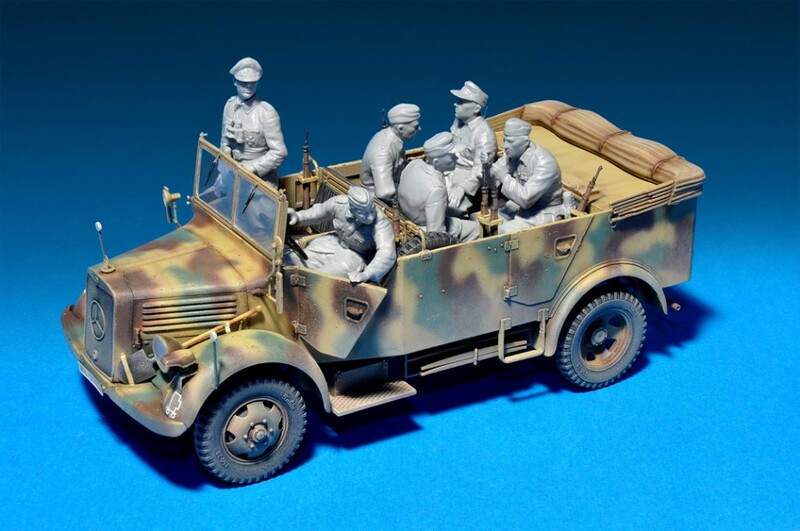 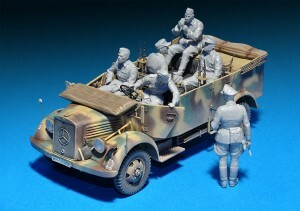 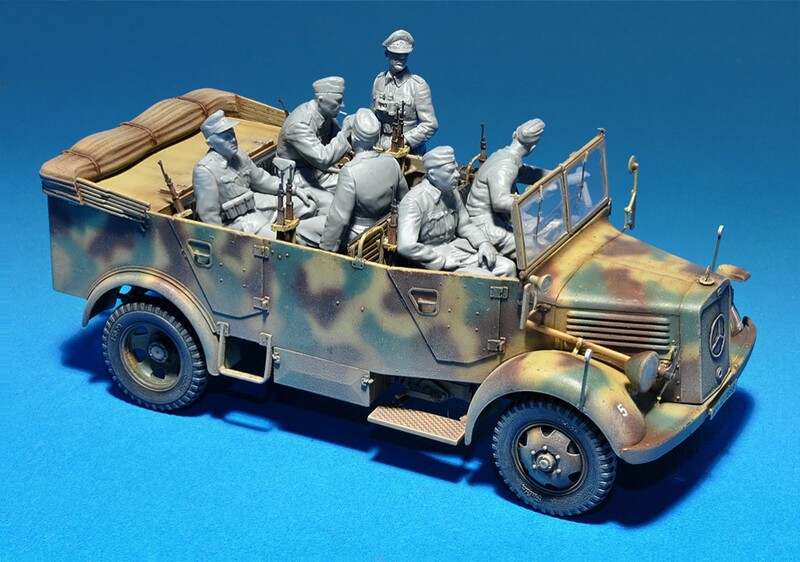 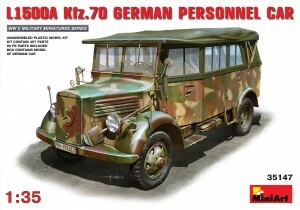 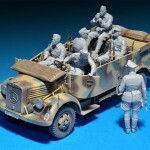 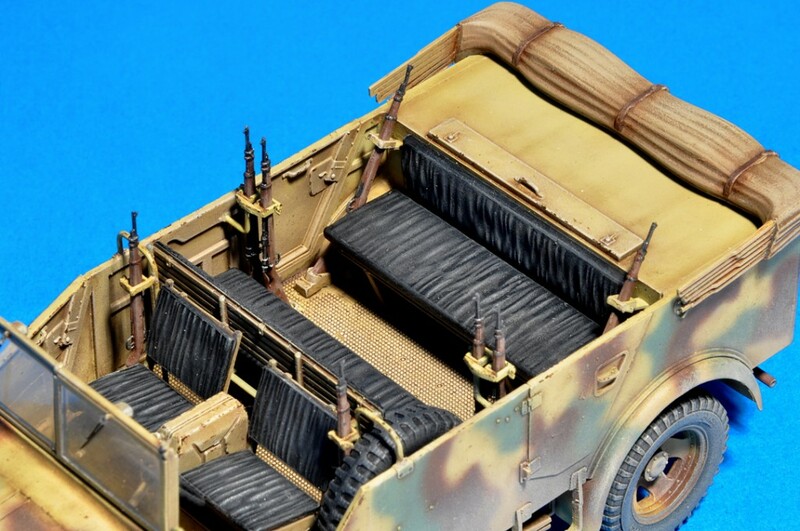 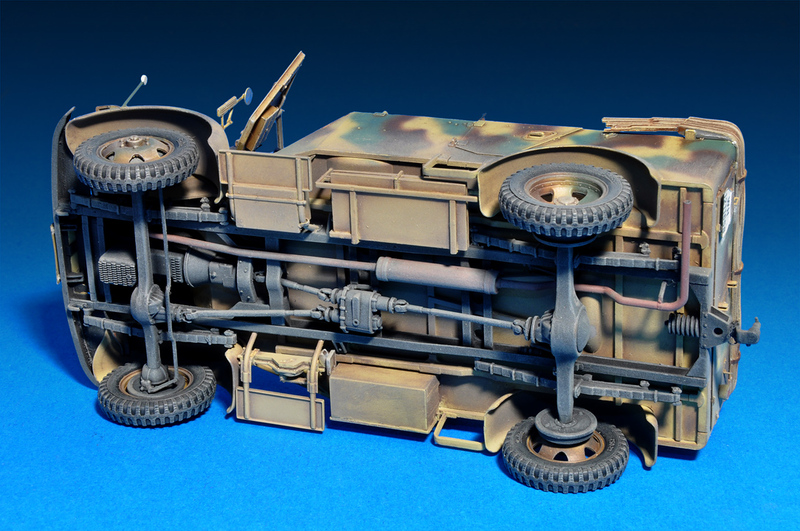 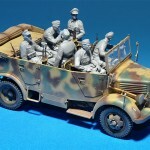 The basic type of body became Kfz.70, designed for transporting of 7 person including driver. 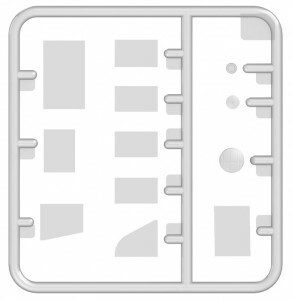 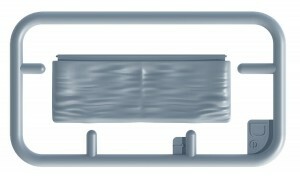 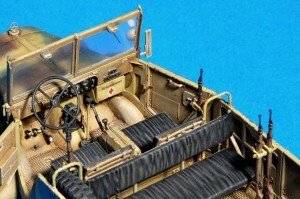 For bad weather condition the body was equipped with retractable top and canvas panel, which could be settled on doors and sides. 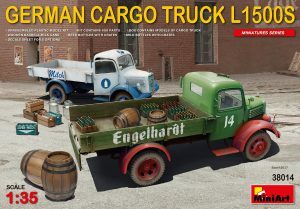 Trucks Mercedes-Benz L 1500A with Kfz. 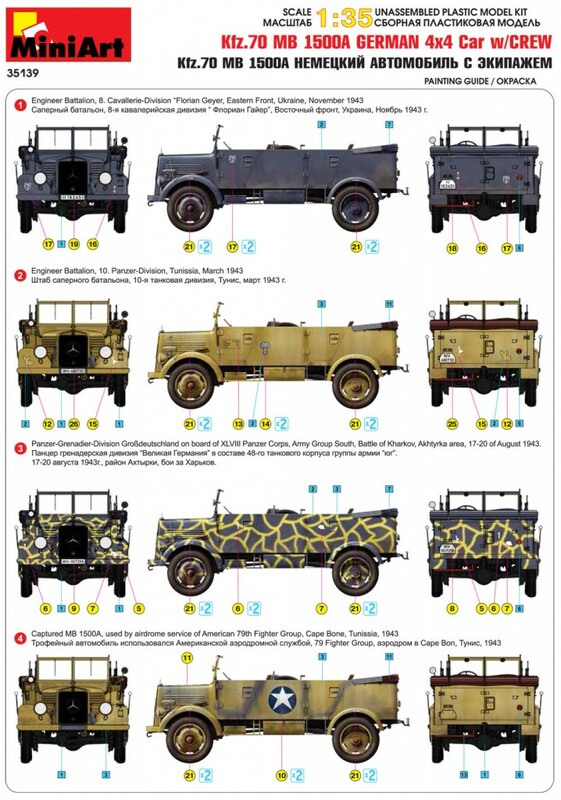 70 were widely used, frequently trucks were as heavy staff cars. 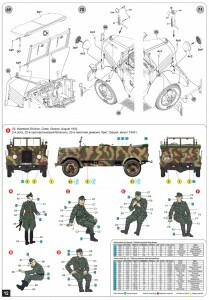 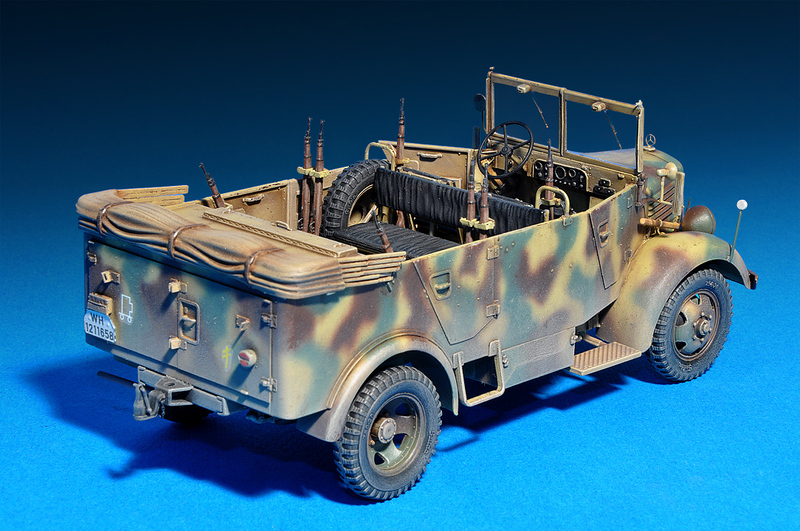 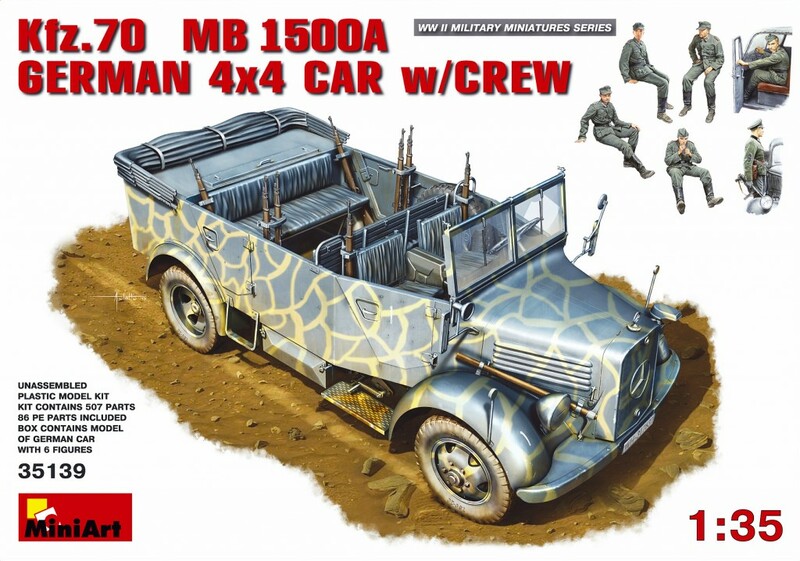 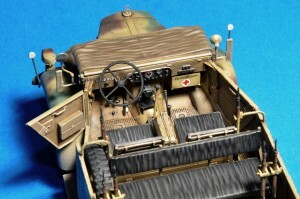 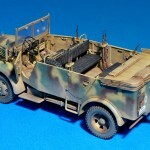 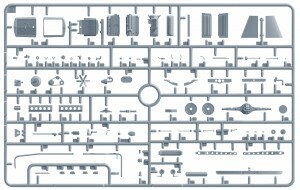 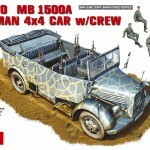 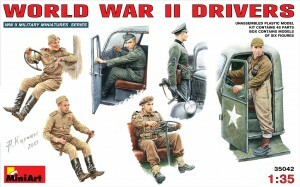 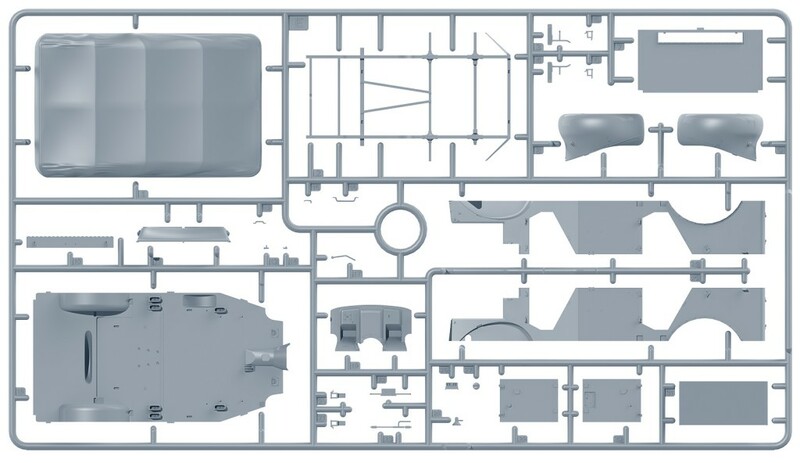 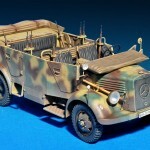 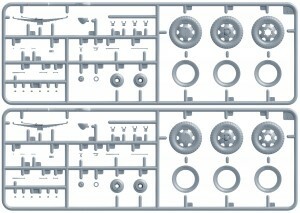 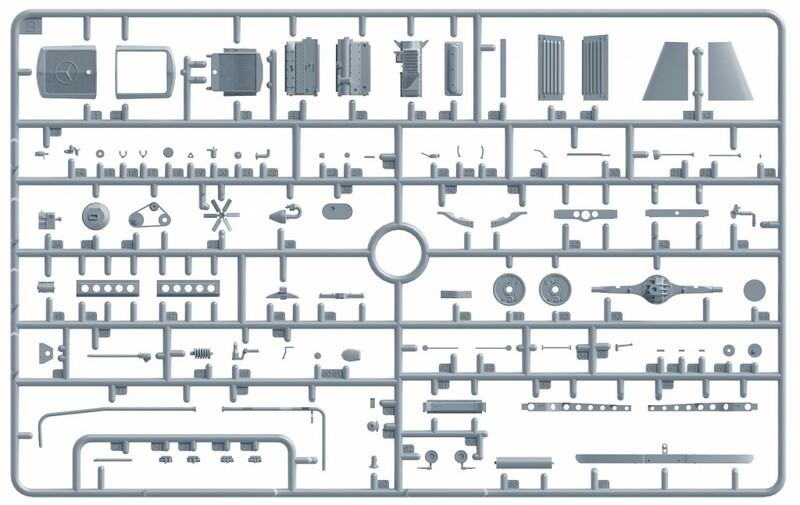 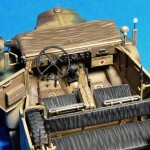 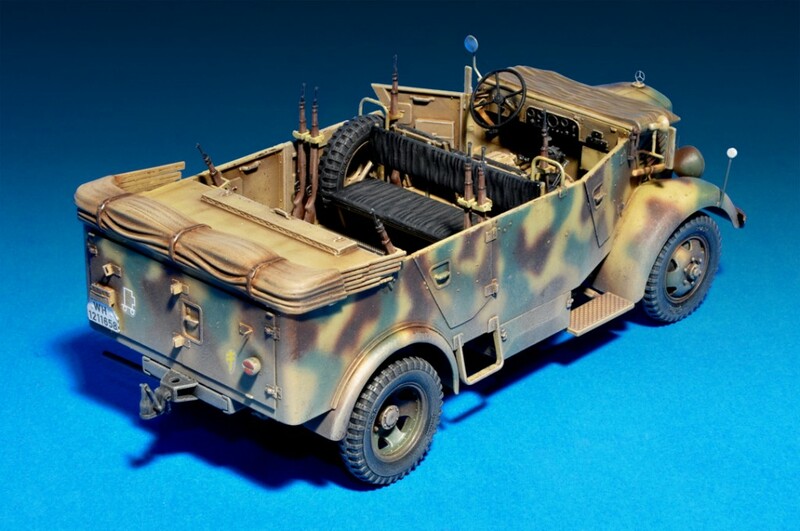 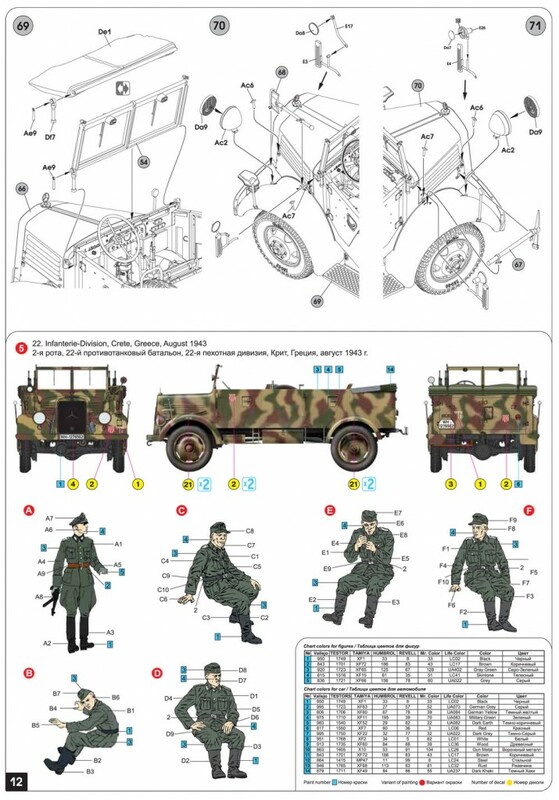 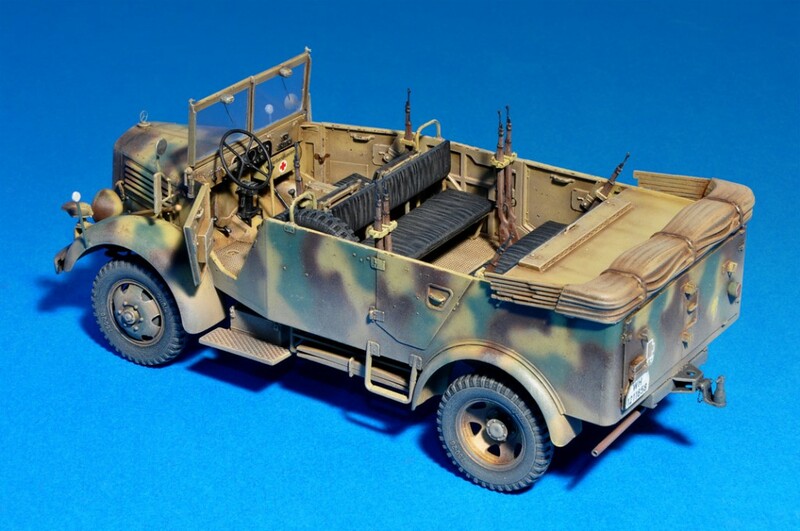 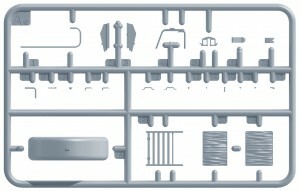 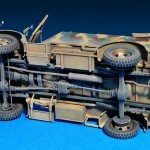 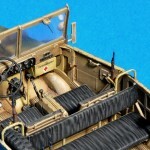 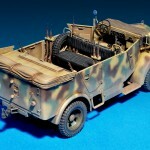 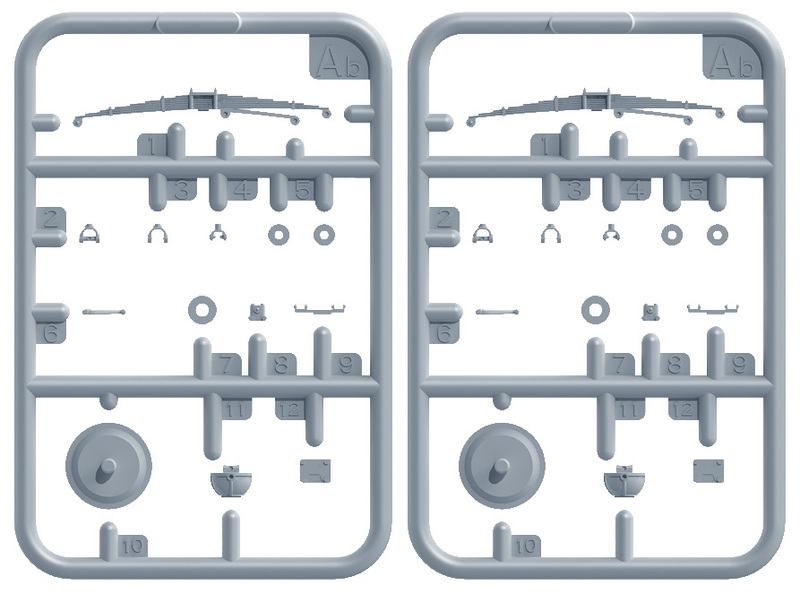 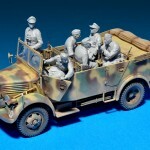 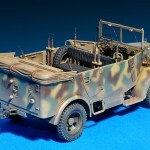 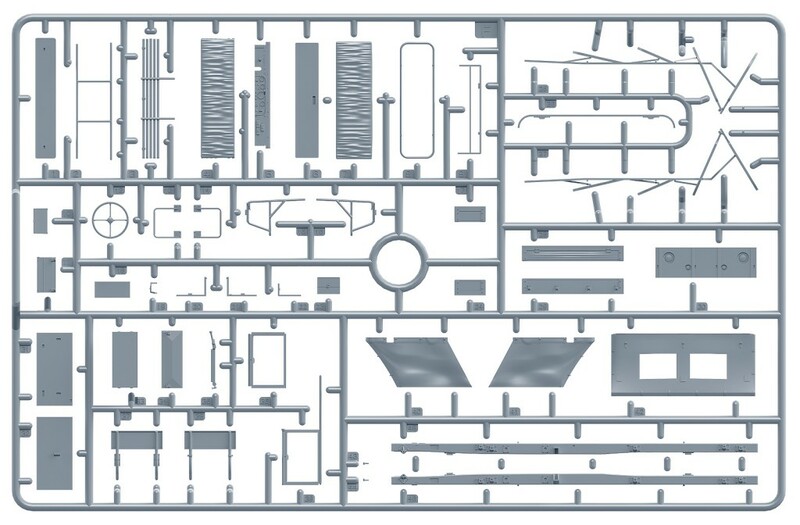 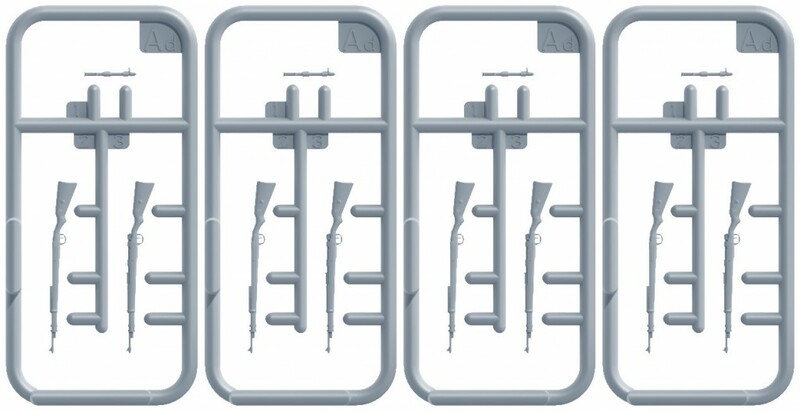 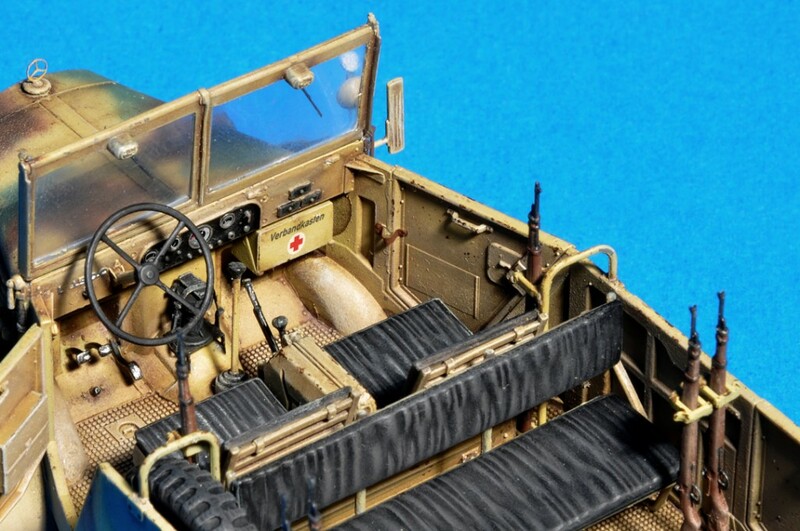 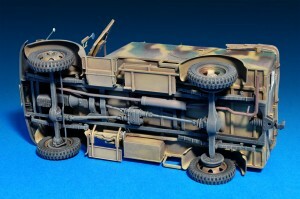 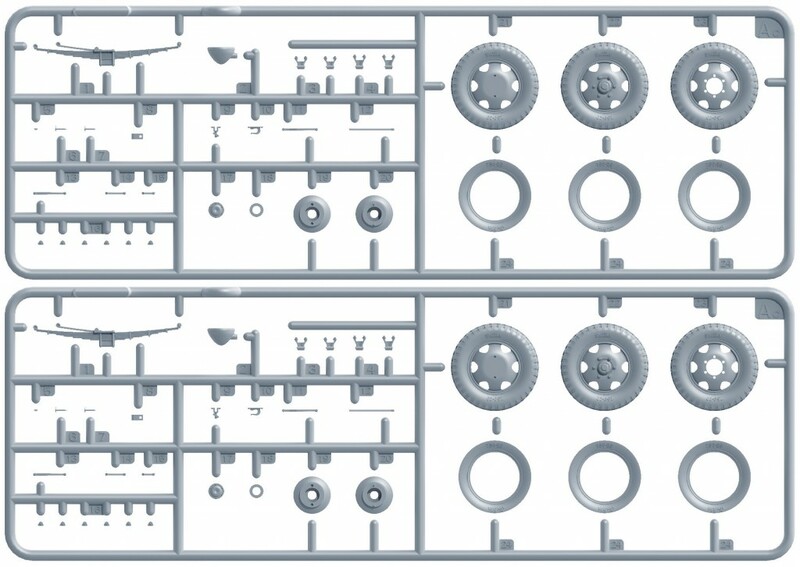 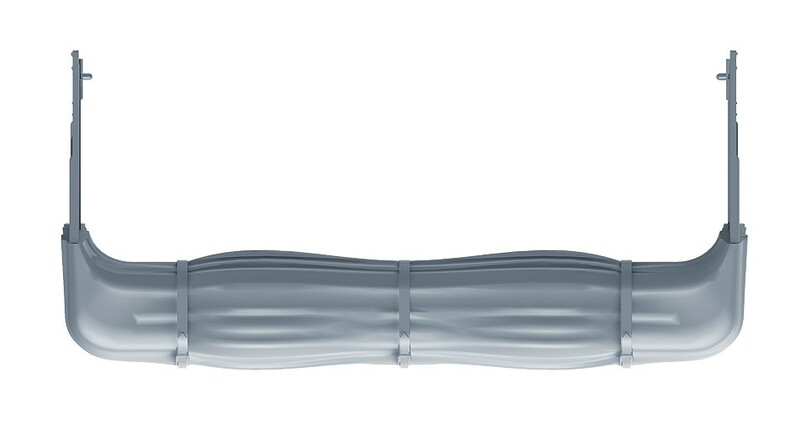 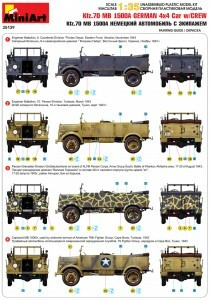 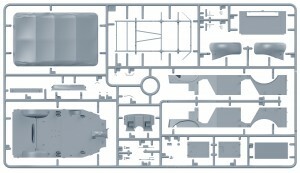 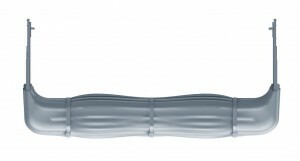 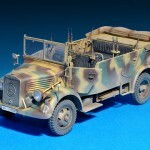 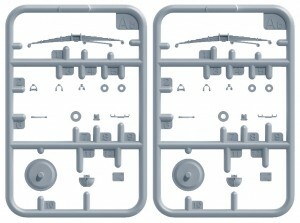 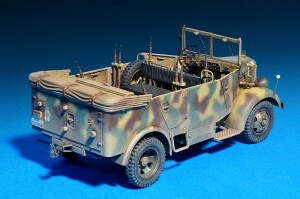 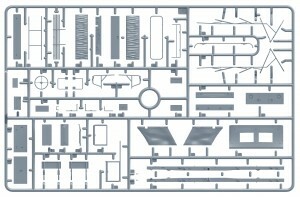 Also different bodies were based on L 1500A and L 1500S chassis, particularly fire trucks, radio cars and ambulances were produced on the L 1500A and L 1500S bases. More often for radio cars and ambulances were used 4×2 chassis. 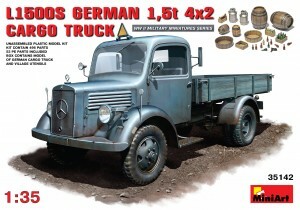 L 1500A trucks were produced from June of 1941 till July 1943, were produced 4900 trucks. 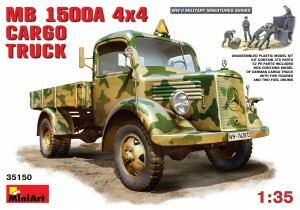 Production of L 1500S started same in June of 1941, but was continued till July of 1944 and were produced 4100 trucks.